Every year during the summer holidays I embark on a big clear out at home. In fact, I think many people choose the summer school holidays to sort through their ‘stuff’ and get rid of things. I find it such a satisfying process! Although it is often both exhausting and frustrating when you are in the midst of it. I got into the habit of regularly simplifying and clearing out, a number of years ago, when my children were small. For a few reasons we ended up moving house about 4 times in 6 years. Moving house is a chaotic time but it can also demand much discipline. We had to decide what things we should actually move. Most of the moves we did ourselves and when you have to move stuff yourselves you choose to think more carefully about what you really want to keep. Each time we moved we would have things stored in attics or cupboards that we had not touched in a couple of years of living in a new house. When you find you have not opened a box in that long, you soon realise that you probably don’t need it after all. 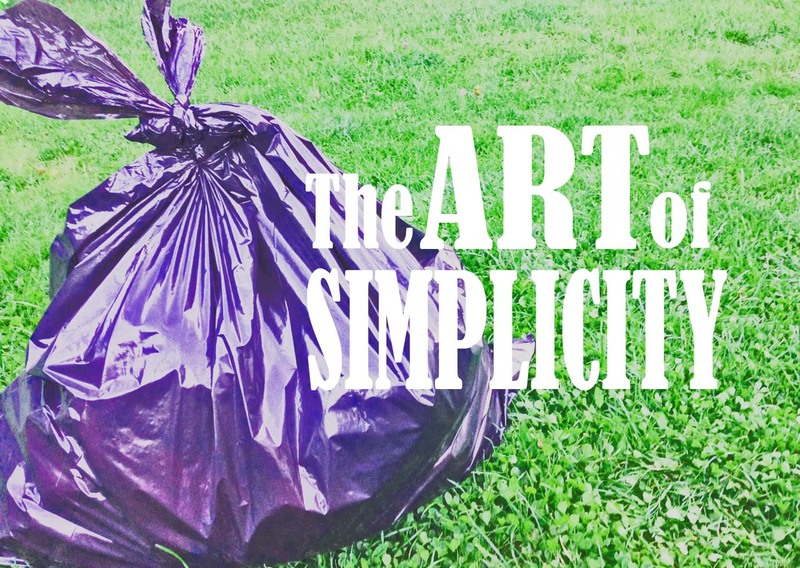 Going through this same process four times taught me the discipline of simplifying and decluttering. Which is something I have continued to put into practice, even though we have finally stayed in one house for 6 years. This summer we have been particularly ruthless. My children are finally learning from ‘clearing out’ with me over the years, that simplicity often makes life easier. They hate tidying their rooms, but are learning the less things you have and the more organised they are, the easier it is to look after them. We got rid of bags and bags of clutter, rubbish, junk and passed on decent items no longer wanted or outgrown. Life is easier when you declutter and simplify. It takes time and discipline but it is worth it. How many times have you lost something amidst the clutter of your home only to rediscover it when you finally get round to clearing out? Simplicity can provide space for the new. When your life is too full of the old, there is no room left for the new. We should certainly celebrate the old, hold onto memories and enjoy traditions. But we must find a balance of old and new that creates space in our life. In the hope that it will make life better and happier. And yet ‘things’ can also complicate our lives. We instead need to discover a balance that works in our life. Reassessing what we actually need and what is just taking up precious space and time. When your life is too full of the old, there is no room left for the new. I have learnt that taking the time to consistently organise, sort through and make space, enables us to embrace change more easily and move forward into the future without having to drag too much of the past around with us. The practical discipline of ‘clearing out’ and decluttering is metaphorical of a similar process in our wider lives. I often choose the start of the new year or the end of a school year to clear out and prepare for the new season ahead. This summer held more significance for my elder daughter because she is moving on from primary school to High School. Clearing things out and sorting through them can prepare you mentally as you look through old memorabilia, selectively choose which to hold onto and then make space for the new things you will inevitably acquire (especially when you have children around). We have to choose what things hold real significance and sentimental value and what we perhaps need to ‘let go’ of because it is simply cluttering up our lives. Taking the time to consistently organise, sort through and make space, enables us to embrace change more easily. What is cluttering up my life? What do I need to cut back on to make room for the new? How can I prepare myself for the season ahead? Our physical reality is often symbolic of other things going on in our life. Physical actions can help us prepare for, face and work through mental and emotional change. I found the process of starting to help my Dad clear his house following my Mums death quite a therapeutic exercise. Of course you want to hold onto many memories and items of significance, but there is also something healthy in saying goodbye, letting go and recognising a new season ahead. It is not always an easy process, and can take time to face, but is one that can be useful in so many different ways and can help us mentally accept and adapt to change whether it is happily welcomed or tragically enforced. Time invested today to embrace the process of simplifying is not wasted time. It is preparation for the future. So that we can move forward and welcome change without too much baggage tied around our ankles. There is a freedom that comes through LETTING GO. How could you make more space, room and time in your life? 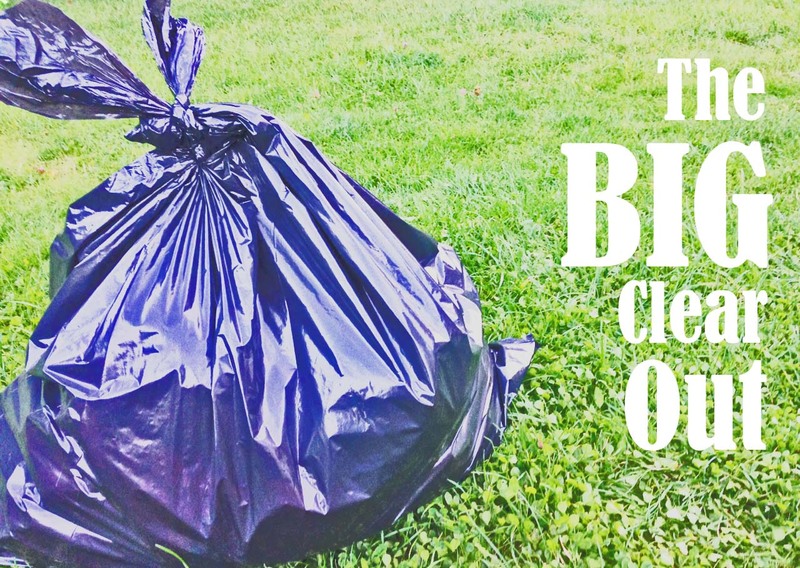 Is it time for a big clear out?